Hot desking, hoteling, activity based working (ABW) ... these office design philosophies create more collaborative environments in which employees can come together organically to meet and exchange ideas. (It’s a phenomenon we wrote extensively about in our post entitled Chasing Serendipity — From Wall-less Cubicles to Activity Based Working.) As a result, companies are providing less “me” space and more “we” space. This “we” space allows employees to collaborate, sit where they want, work where they want, interact with whom they want (and when they want!). This greater freedom of choice is a welcome change for businesses and employees alike. It does mean, however, that individual workspaces must get smaller to accommodate additional meeting spaces. Where do I put my bobble head? We all have a lot of stuff, and obviously storing it in common areas is a non-starter. Purses, bike helmets, tablets, coats, pens, paper, hats, backpacks, laptop bags, and shoes … oh the shoes! We need to find a place for all of these things, and as our individual workplaces shrink—or even disappear altogether—companies are turning to many different storage solutions. Centralized locker systems can be a very useful solution. Lockable and spacious, they can store lots of gear. They’re available in everything from small, stackable cubes to tall, traditional lockers. Because they’re not mobile, however, employees need to return to the locker whenever they need something they’ve left there. Credenzas and other fixed storage solutions are spacious but limited. They can store a lot of things and can usually be locked, but their weight and lack of casters means they are definitely not a mobile solution. In some workspaces they can be used as individual storage, but their utility may be more limited when space is at a premium. Pedestals are typically around 15 inches wide and sit on casters. They are usually designed as a mobile file folder cabinet, although some are split between folder storage and box storage. One of the most mobile individual storage solution available today, they can be somewhat difficult to move because of their low profile and lack of handles. When filled with folders, their weight makes them even more unwieldy. Despite their drawbacks, pedestals can be a very good storage solution. Some are designed to be used as secondary seating. They are moveable, although calling them “mobile” is debatable since pushing something heavy and short can be challenging. 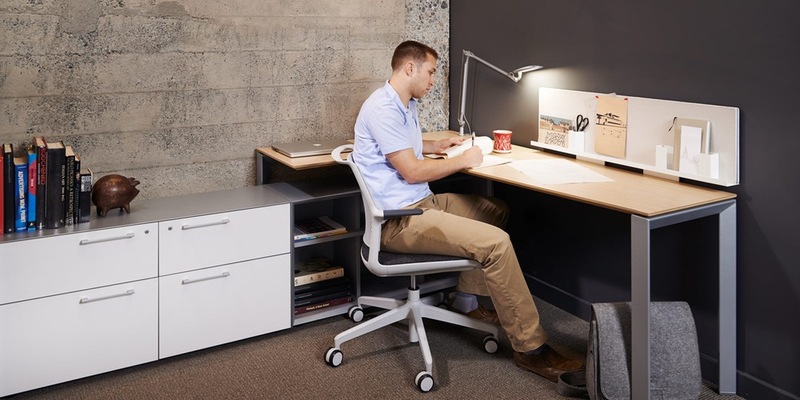 But pedestals have another issue that is coming to the forefront as workspaces get smaller and smaller: even at a relatively svelte 15 inches, some pedestals are too wide to fit comfortably under modern desks. 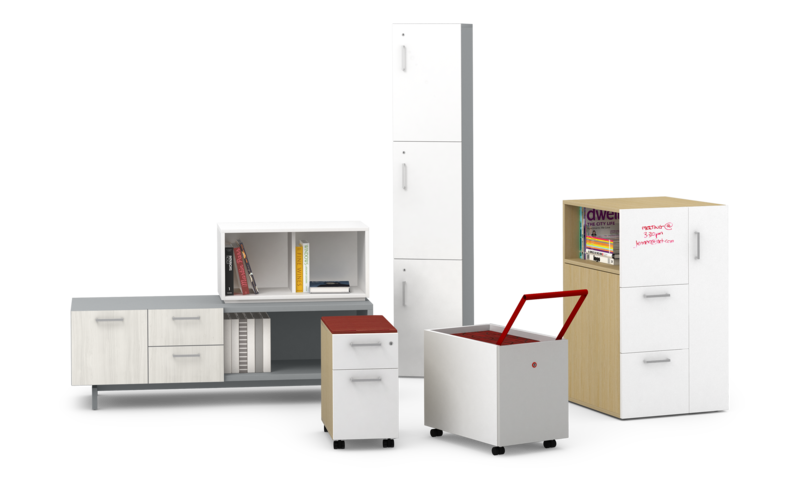 No storage solution is going to encompass every office need, but as workspaces get smaller and “we” spaces get bigger and more popular, a small, truly mobile storage solution is necessary. Sidecar has two major differences from the traditional pedestal. 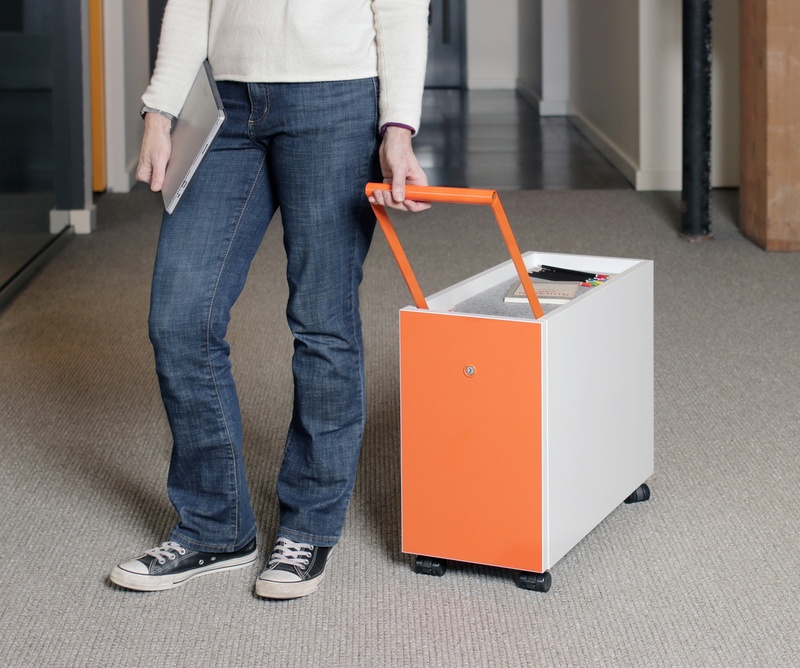 First, it has an integrated tow handle that makes it more like a rolling piece of luggage than a rolling file cabinet. And, second, it is only 10.5 inches wide but still has the same or more cubic feet as pedestals 12 to 15 inches wide. 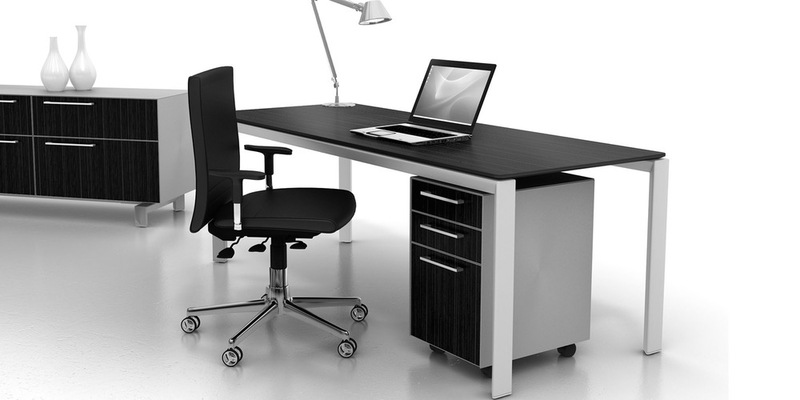 That extra 1.5 inches of room may not seem like a lot, but under today’s smaller desks every inch counts. It provides greater leg room and more chair maneuverability. USB charging point to keep devices charged and ready to go. Finally, instead of a seat, the top of the Sidecar acts as additional storage for small items—pens, phones, iPods, maybe even a bobblehead. 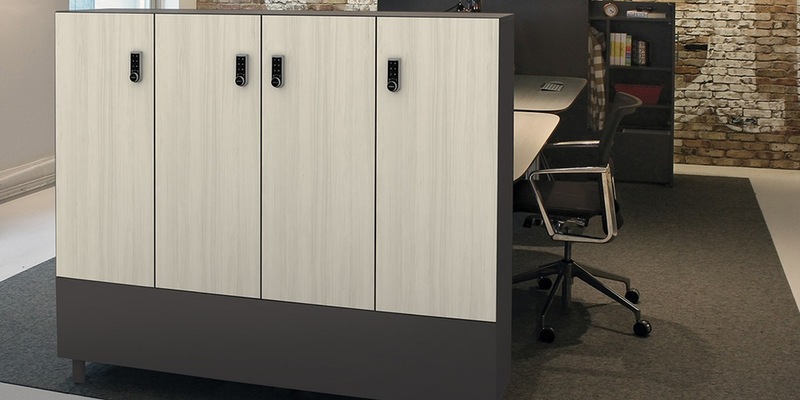 As offices continue to evolve, furniture makers like Watson will continue to create new furniture categories—like compact storage—to respond to the needs of businesses and individuals. We are committed to helping office designers and architects realize their visions, and helping businesses and employees achieve their goals.